Music is one of God's greatest gifts to us. Invest in your desire or ability to create it. I teach piano, violin, and viola. If you're looking to start or if you want to get better at your instrument, I'd love to be your coach. I have a Bachelor's degree in Music & Worship and a Masters in Teaching, and I'm a certified K-12 music teacher. I've taught individual music lessons for 7 years. I'm also a worship leader at a church and a songwriter/arranger for Red Tie Music. Music is my passion, and I'd love the opportunity to share it with you and your family. 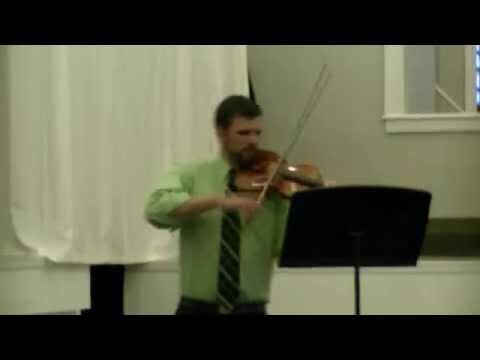 Here's a little sample of a Bach violin solo that I played at one of my student recitals. Leading music from the piano is something that I do weekly. My first lesson was extremely informative And I am looking forward to the next! Paul is one of the most talented musicians and a great teacher. Great communication, my son loved his first lesson and is excited for next week.